Investigations continue in Marion County as a number of rather large and expensive items have been stolen within the last few weeks. Items ranging from four-wheelers and dirt bikes to utility trailers are on the list of items disappearing from private residences. A pickup truck has also been stolen as part of the recent string of thefts. The number of dirt bikes and four-wheelers stolen is three and two, respectively, along with three utility trailers among the items taken. Marion County Sheriff Kevin Williams said that the number of cases involving these larger items remains less than a dozen, but the trend is disturbing. However, the sheriff does not believe the thefts were committed by the same person(s). “Anytime you have a run of similar thefts there is reason to be concerned,’’ Williams said in an interview with the Journal Record. The sheriff confirmed a 1999 Chevy pickup truck and a 16-foot utility trailer had been stolen at the same site in Barnesville. Three dirt bikes were also stolen from this same location. Another utility trailer has been stolen in Bexar while two four-wheelers and a small go-cart have been reported stolen in an area near the Burleson Church of Christ. Williams said the first in the string of thefts occurred a month ago with the most recent coming within the last two weeks. 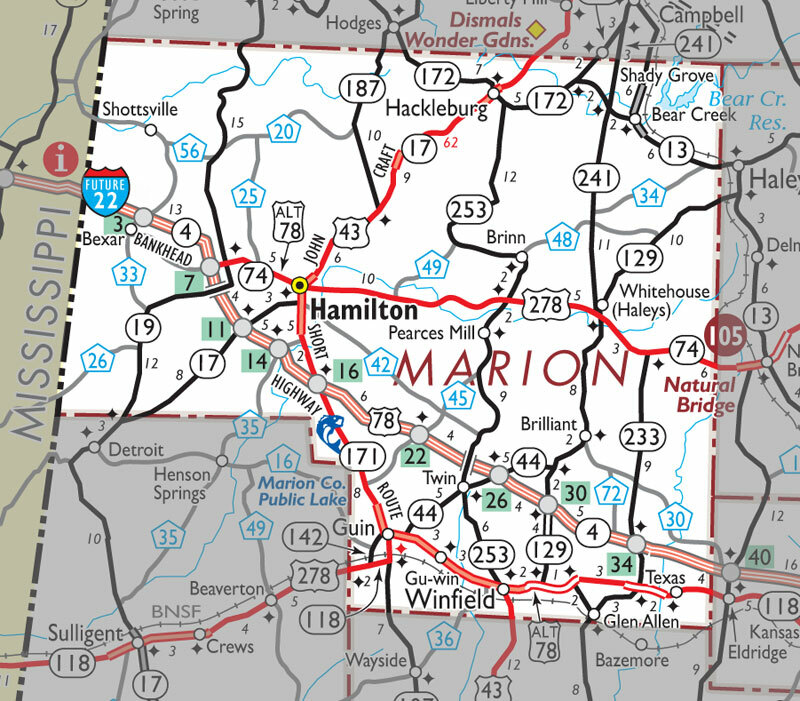 The sheriff said two other four-wheelers were stolen in the Hamilton City Limits in the same time period with that incident currently under investigation by officials with the Hamilton Police Department. “People need to realize that we are entering the new holiday season and this is the most common time of year for theft and burglary,’’ said Williams. When arrests are made in these cases, Williams said the person(s) will be charged with a felony due to the value of the property stolen. Anyone with information on one or more of these cases is invited to call Williams at the Marion County Sheriff’s Department at 921-7433.